Mayor Dave Hodgson has spoken of his delight that Bedford Borough Council has planted more trees in this planting season than in any other in over 10 years. The planting season for trees generally runs from October to April, and this planting season saw over 200 trees planted. A variety of trees have been planted on highways verges and residential streets for people to enjoy across the Borough, as well as in parks and open spaces including Bedford Park and Jubilee Park. In addition to new locations, trees have also been planted to replace those which had to be removed, such as the diseased Horse Chestnuts near the Embankment. 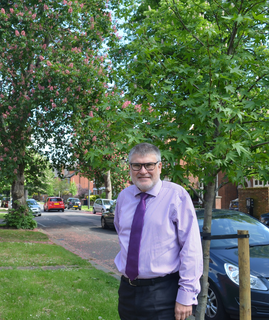 Mayor Dave Hodgson said "It is always sad when we have to remove trees due to disease, but I am delighted that we have been able to replace the trees near the Embankment in addition to planting in new locations across the Borough. I look forward to seeing these trees grow and flourish throughout the seasons for many years to come."